Five internationally recognized leaders in biomedical research have been named the 2016 Vallee Visiting Professors. With her recent ground-breaking findings in the field of RNA-mediated regulation based on the CRISPR-Cas9 system, Emmanuelle Charpentier, PhD, (Director, Department of Regulation in Infection Biology, Max Planck Institute of Infection Biology) has laid the foundation for the development of a novel, highly versatile and specific genome editing technology that is revolutionizing life sciences research and could open up whole new opportunities in biomedical gene therapies. David Eisenberg, DPhil, (Paul D Boyer Professor of Biochemistry and Molecular Biology, University of California, Los Angeles; HHMI Investigator) has worked extensively on protein interactions. In very recent work, his lab has determined the structure of the toxic core of alpha-synuclein, the protein associated with Parkinson’s disease. The crystals that yielded this structure are literally invisible, being smaller than the wavelength of visible light. Elaine Fuchs, PhD, (Rebecca Lancefield Professor in Mammalian Cell Biology and Development at The Rockefeller University; HHMI Investigator) is renowned for her research in skin biology, its stem cells and its associated human genetic disorders. She studies how resident stem cells communicate and respond to their local neighbors (their “niche”) and how these signals prompt them to adjust their program of gene expression and begin to make tissue, and how new signals instruct them when to stop once enough tissue has been made. Dame Carol Robinson, PhD, DBE, FRS, (Royal Society Research Professor, The University of Oxford) is interested in all aspects of protein complexes and their properties in the gas phase of a mass spectrometer. Although not the traditional role of this analytical tool, recent developments enable mass spectrometry to probe large intact protein assemblies, providing knowledge of their stoichiometry, topology and interaction partners. Carla Shatz, PhD, (Sapp Family Provostial Professor of Biology and Neurobiology and the David Starr Jordan Director of Bio-X, Stanford University) is a neuroscientist who has devoted her research career to understanding the dynamic interplay between genes and environment that shapes brain circuits - the very essence of our being. Her lab found that the spontaneous activity of neurons in utero is critical for forming and then tuning up precise neural connections in the central nervous system: the developing brain runs test patterns to validate and tune neural circuitry. For news of other Vallee Visiting Professors who have recently completed their VVP sabbaticals, see how Ivan Dikic and Bonnie Bassler fared (by clicking on their names). The Visiting Vallee Professor program fulfills one of the core missions of the Foundation, which is to enable senior scientists to explore new directions, through spending time away from their own laboratories and administrative responsibilities to conduct research, exchange scientific views, and establish or strengthen collaborative relationships with a biomedical research institute anywhere in the world. 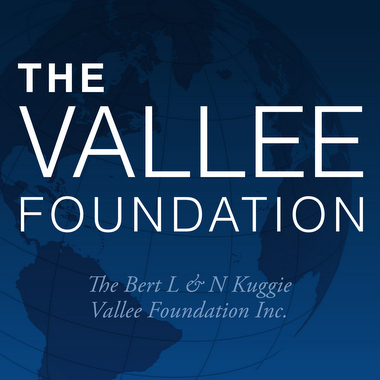 We welcome our new Visiting Vallee Professors to the Vallee Foundation community and look forward to working with them in the years to come.